It’s the last of our greatest hits from We Are Fanimaly! Look for new posts very soon in the series! Horses have the largest eye of any land mammal! Horse hooves are made up of keratin. Horses can see nearly 360 degrees around them. Horses only sleep 2-3 hours a day. Tapirs have been around for millions of years. Tapirs have an extended lip and nose that makes a mini prehensile trunk. Tapirs have an odd number of toes. Tapir toes are splayed to help them walk on muddy river banks. Wow! 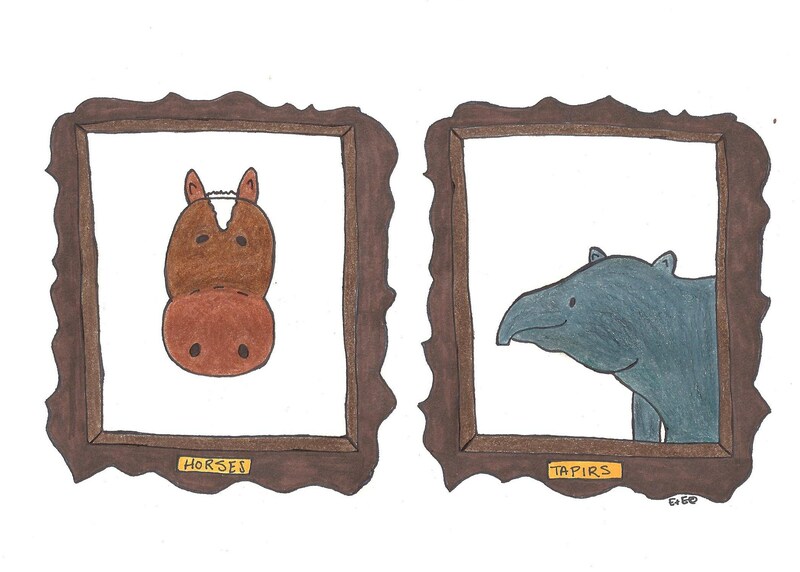 Who knew Edmond’s family tree included tapirs? Baby tapirs are spotted and quiet cute! We had some friends say they look like watermelons with legs :)!